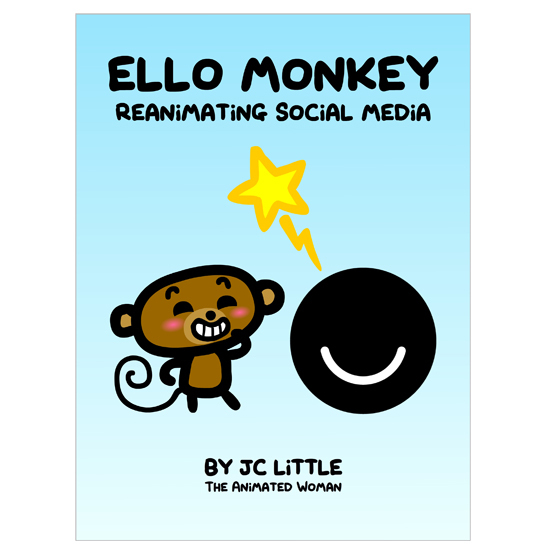 ELLO MONKEY: Reanimating Social Media. This is exciting. We've got permission from the Ello founders to use their logo, and some wonderful people will be providing blurbs. There is a hitch with Amazon - those fuckers won't distribute a book for free *pouts* ...so I'm setting the book up on Gumroad for a 0+ (free) download of PDF and MOBI. It'll also be on Amazon though (for the lowest price possible) because we want the book to be found in search and theirs has range. But the main link we're pushing will be the free one. And we're going to push it with a vengeance; honest reviews, ratings and shares on every channel will be most welcome. I hope you're with me on this. Picture-books for grownups: it's a thing. I'm squirming in my seat. Too excited.